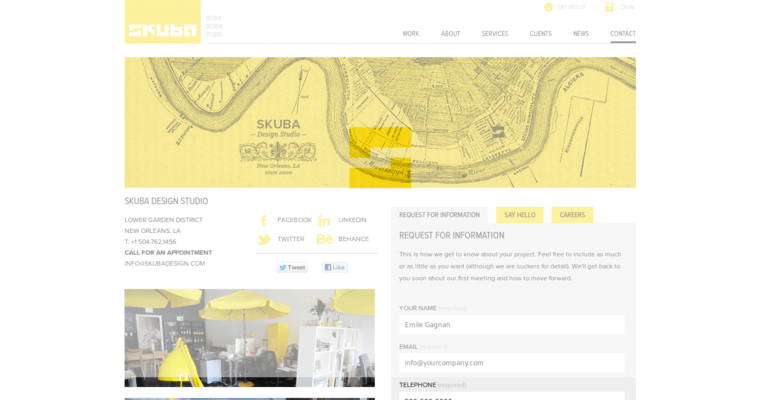 Skuba Design Studio is a distinguished web design company that's located in New Orleans, Louisiana's vibrant Lower Garden District. The firm has been in business since 2000. Trace Hayes is the founder. He currently works as the company's principal. When Hayes started Skuba Design Studio, he had 11 years background in the design and advertising realms. 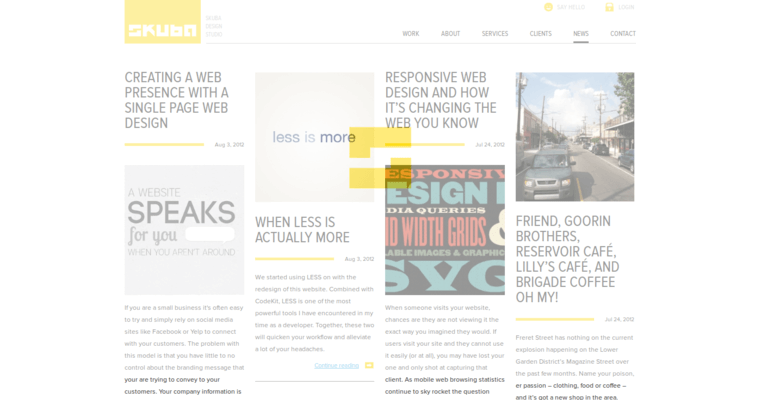 The talented staff at Skuba Design Studio consists of a fine blend of multimedia, marketing, graphic design, illustration, photography and web development experts. Standout staff members at Skuba Design Studio include web developer Jeff, interactive director Dan, project manager Deb and graphic designer Ashley. The studio's available services include content management, brand strategy, search engine optimization (SEO), social media management, mobile development, motion graphics, mobile applications, market research, interactive design, direct marketing and consulting. 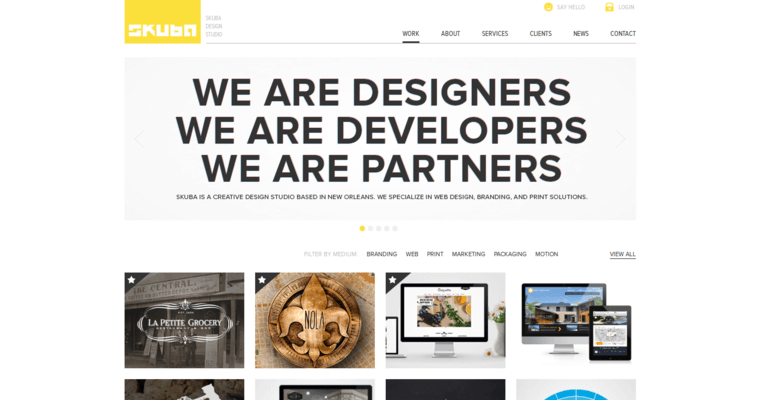 Clients of Skuba Design Studio include BNY Mellon, AOL, Deutsche Bank, Verizon, Turner, NASDAQ, Toshiba, Unilever, PWC and the Hearst Corporation.